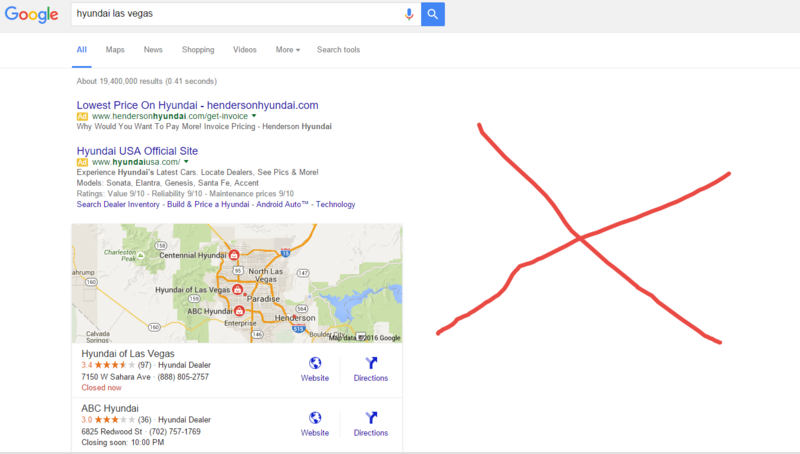 Google tweaks its search results page and there will be some fallout. The changes are good for Google, but some marketers will feel the squeeze. Google has rolled out a new search results page on the desktop that eliminates ads on the right and the change is a bit seismic. The search giant’s changes, which have been rolling out over the weekend, ditch right side ads in favor of slots on the top and bottom of the page. For some categories, Google will put its product listing module on the right so you can check inventory and pricing through the search giant. Organic results are pushed down. Small businesses are hosed. Higher ad rates and cost per click is great for Google, but if you’re a smaller company with a limited budget in need of marketing returns these changes aren’t so great. You could argue certain small businesses will feel the squeeze. Perhaps these marketers shift their spending to Facebook over time. Organic results are squeezed for the user. With these changes, Google is less of a search engine. In most of my searches, I’d get a series of ads and more often than not some Google listing with directions and other services. The organic search results could fit in a thimble because the bottom of the page had search ads too. Anyone who doesn’t want an owned and operated plug will be annoyed. The search result remix from Google gives it more opportunity to plug its owned and operated sites. Advertisers will endure more bidding wars. Google’s changes ensure bidding wars in key categories. Small businesses will feel the squeeze the most, but large companies will too. Google just grabbed more of your budget. The big question is what you’re going to do about it. The short term answer is not much.